The Anthropology Students' Association (ASA) at York University is a committed collective for anthropology students to plan, contribute and participate in community initiatives on and off campus. We're working towards planning seminars, workshops, social events and much more, tailored to the love and learning of anthropology! 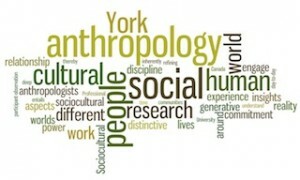 We are working closely with the Department of Anthropology to ensure that your voice as a student of anthropology at York is heard when decisions pertaining to us are being made. The Department of Anthropology is a valuable resource to the students and the ASA so we encourage that students participate fully in the work of the department and the ASA throughout the school year to enrich your experience and interest in anthropology and anthropology related fields. This year, the ASA is sponsoring Contingent Horizons: The York University Student Journal of Anthropology. 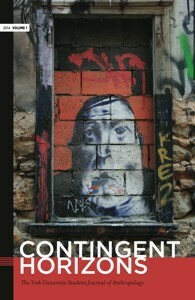 Contingent Horizons is York University’s student journal of anthropology. We aim to showcase scholarly and creative works of academic excellence by undergraduate and graduate students. We invite prospective contributors to submit their original, unpublished works for publication in our annual issue. All contributions will be academically peer-reviewed, and selected submissions will be published online. We invite you to regularly visit this website to enjoy the works of our student contributors and their scholarly pursuits, and also as a space for healthy discussion within York’s academic community and beyond.